What Type of Financial Planning Professional In Paducah Are You Speaking With ? Some retirees in Paducah chose a solution for their short-term, safe-money needs in Multi-year Guaranteed Annuities. How are taxes handled on my MYGA accounts? Bradshaw & Weil Wealth Management, a financial advisory firm in Paducah says that navigating through the U.S. tax code can be a daunting task: what, when and how are the three questions that must be answered. Brandon Morgan, a fiduciary with Bradshaw & Weil Wealth Management says the first question is typically “What is taxable?”. The short answer is anything that has not been taxed previously. When distributing from a non- qualified MYGA, the principal investment is not taxable because it was taxed prior to the original investment. He says that all of the gains on the investment however are taxable. For annuities issued after August 14, 1982, distribution is based upon the accounting practice of LIFO (last in, first out). Which means the first distributions will all be taxable until you reach the original deposit amount. Distributions are considered taxable income to the owner in the year of distribution at the owner’s personal income tax rate. The owner of a non-qualified MYGA can continue deferring the taxable portion of their account indefinitely. A MYGA account is distributed to the beneficiary(ies) identified on the contract upon the owner’s death. Brandon Morgan says, “The beneficiary(ies) are responsible for paying the taxes on their portion of the MYGA’s account value at their personal tax rate in the year of receipt”. However, Brandon Morgan went on to say, if the original deposit is made from tax-deferred contributions or rollovers, all distributions (principal and gains) are taxable income in the year of receipt on Qualified IRA MYGAs. If distribution from the IRA MYGA has not begun by April 1 after the year the owner turned 70 ½, then Required Minimum Distribution (RMD) rules will apply to the IRA MYGA. There is one exception to the taxable income rule, a Roth IRA MYGA. 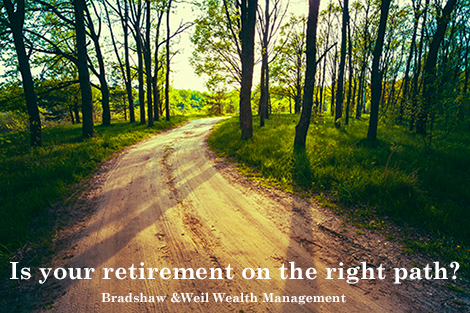 Bradshaw & Weil Wealth Management in Paducah, also said that in a Roth IRA, if the contributions or rollovers are deferred for five years and the owner is over age 59 ½, then the distributions are tax free. Roth IRAs are distributed based upon the accounting practice FIFO (first in, first out). The owner and/or spouse of a Roth IRA MYGA are not subjected to RMD rules. However, their non-spouse beneficiaries are. Investment advisory services offered through Virtue Capital Management, LLC (VCM), a registered investment advisor. VCM and Bradshaw & Weil Wealth Management are independent of each other. For a complete description of investment risks, fees and services, review the Virtue Capital Management firm brochure (ADV Part 2A) which is available from your Investment Advisor Representative or by contacting Virtue Capital Management. Information provided is not intended as tax or legal advice, and should not be relied on as such. You are encouraged to seek tax or legal advice from an independent professional. The information presented does not does not take into account your particular investment objectives, financial situation or needs and may not be suitable for all investors. It is not intended to project the performance of any specific investment and is not a solicitation or recommendation of any investment strategy.